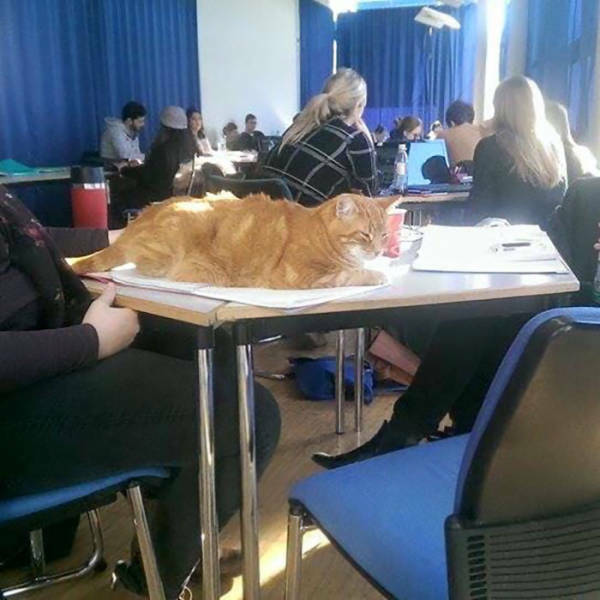 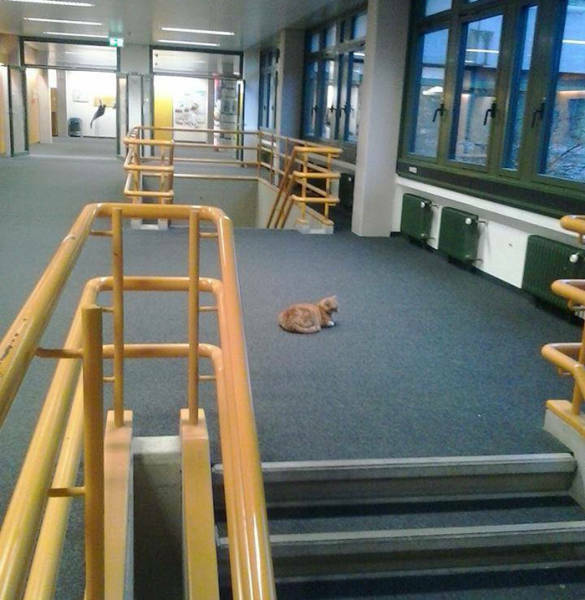 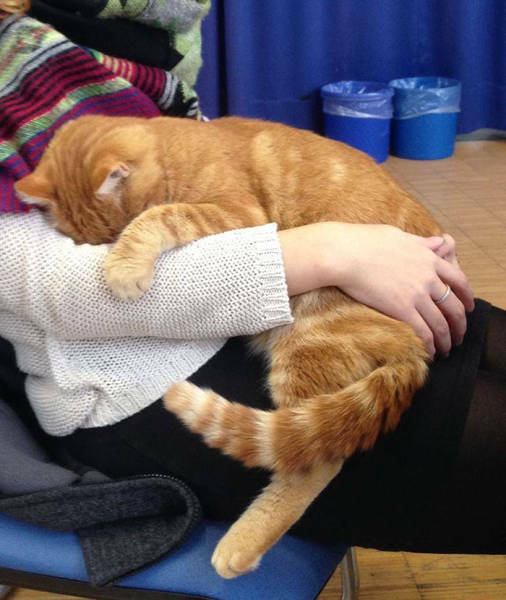 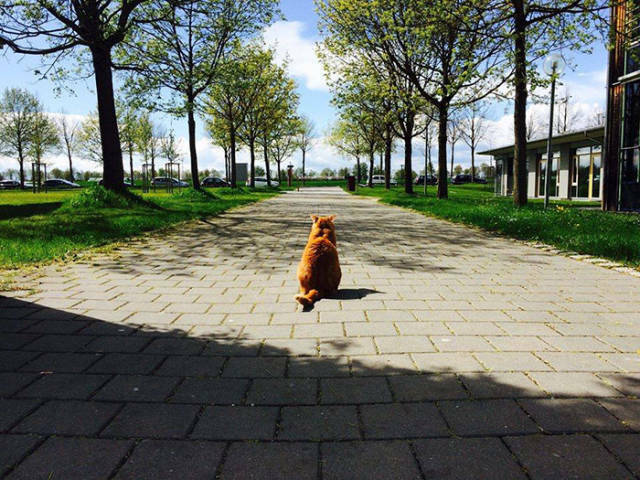 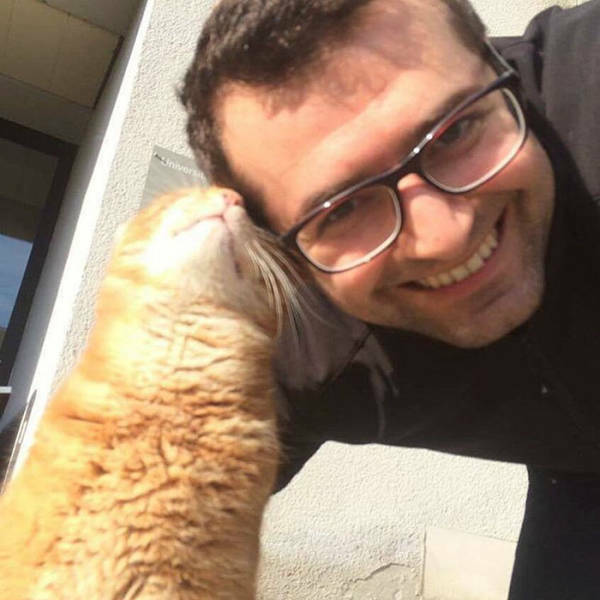 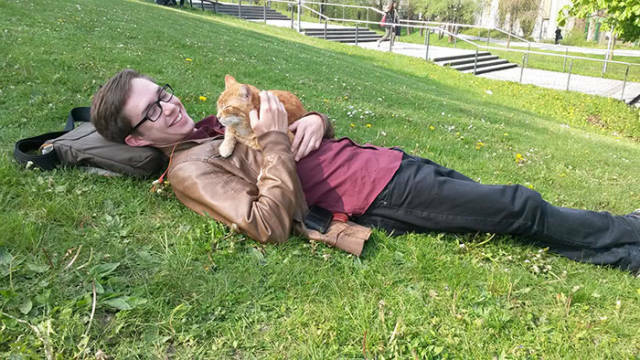 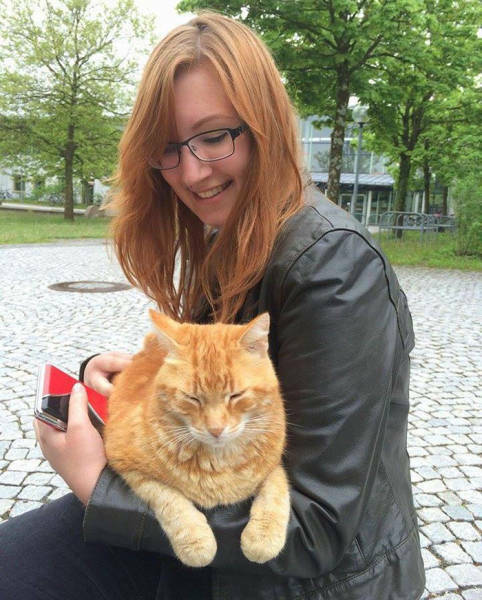 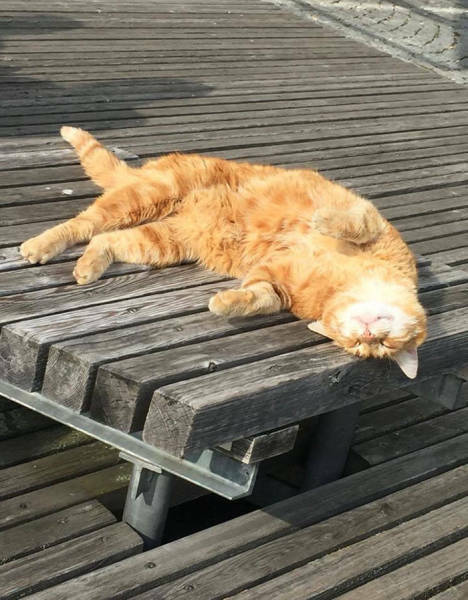 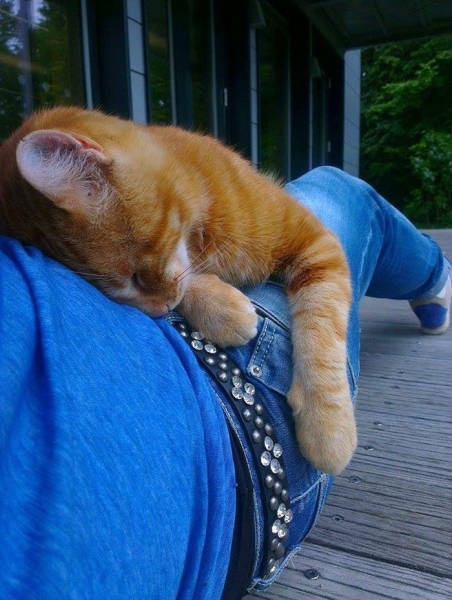 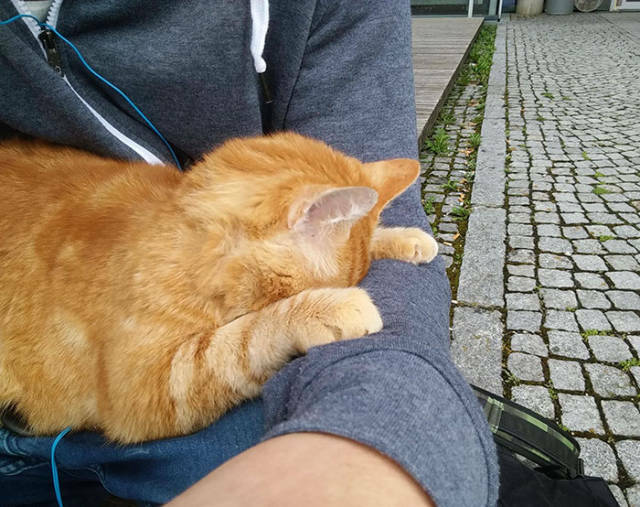 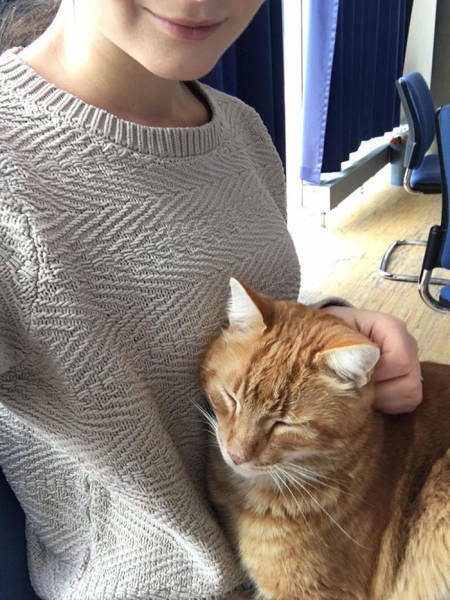 This ginger cat is known as "Campus Cat" among the students of the University of Augsburg where he comes everyday. 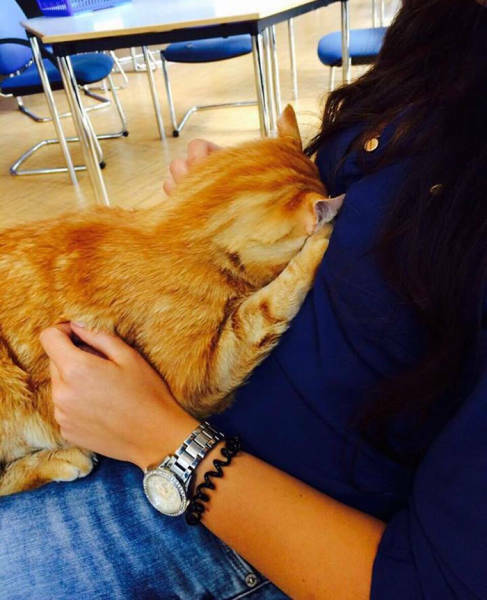 The kitty wasn't trained, he just does it on his own and every time he comes there, it is for some love and hugs. 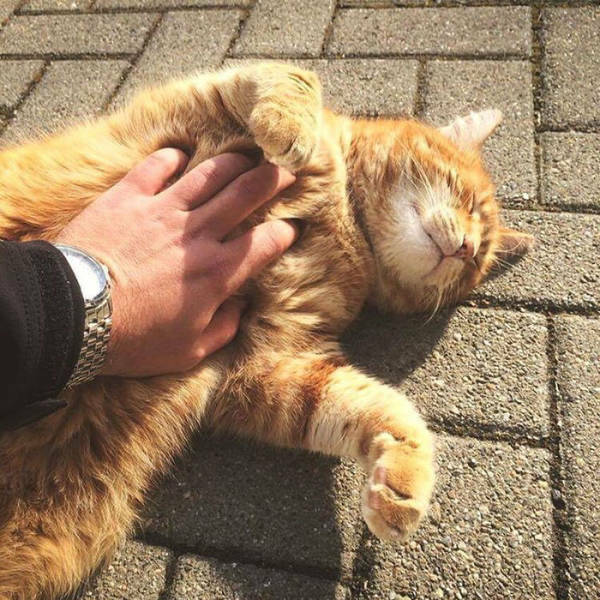 He has a home and is well cared for but can't help coming there. 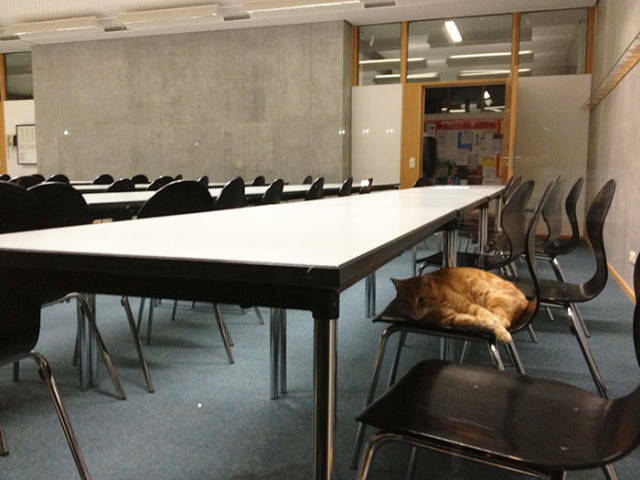 Many students say that he "helps to relax or chill before tests, papers, exams."